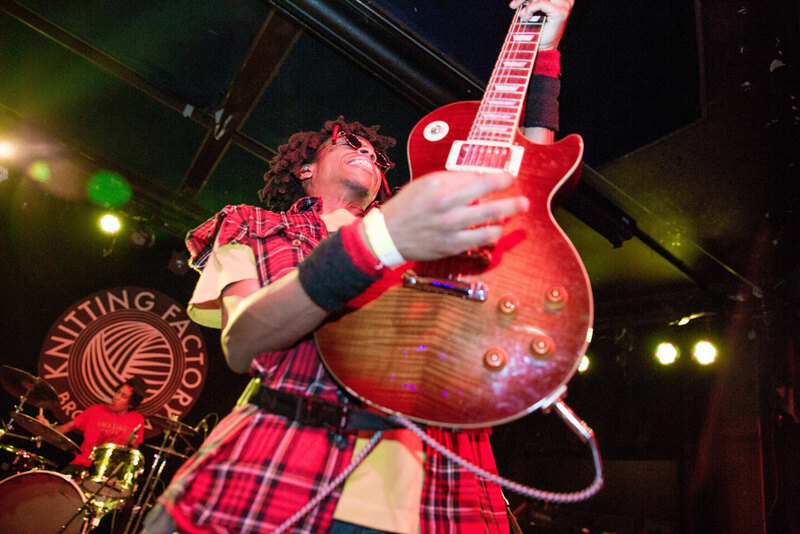 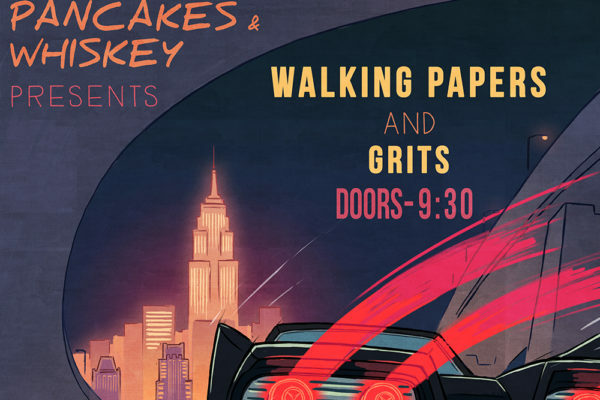 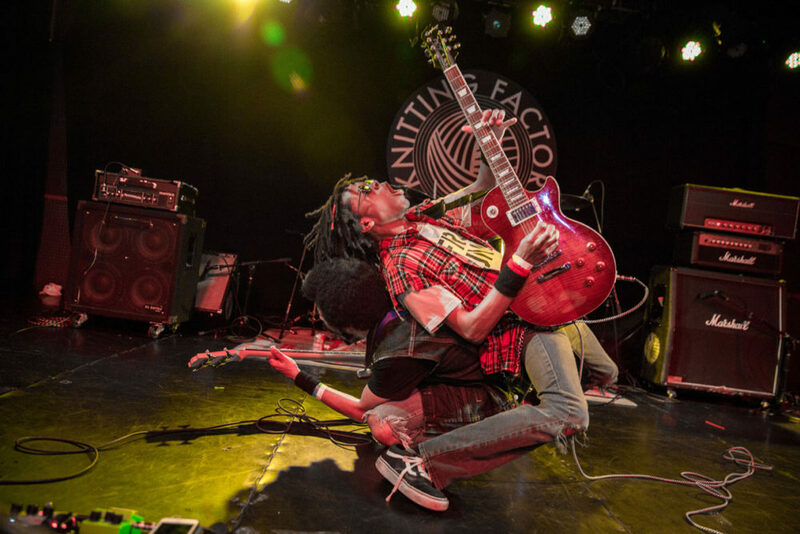 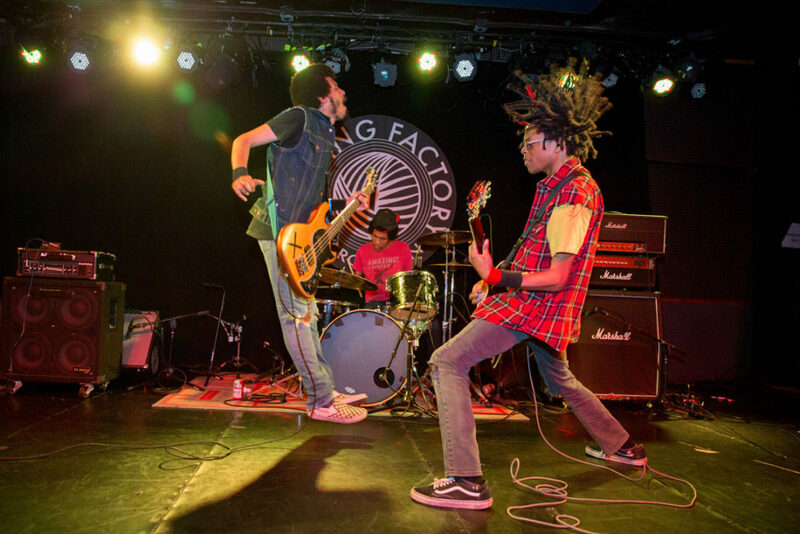 There are a few things you can expect from a Radkey show: speedy punk-pop riffs, slam dancing, and superheroes. 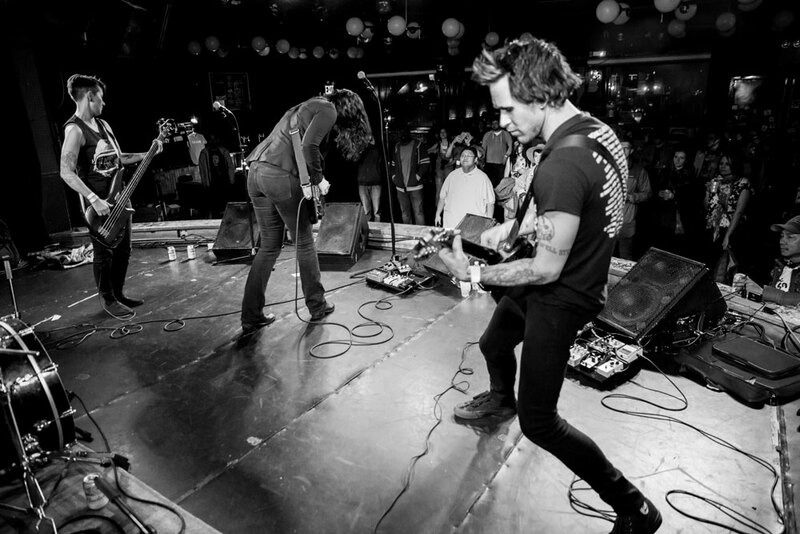 Lots of superheroes. 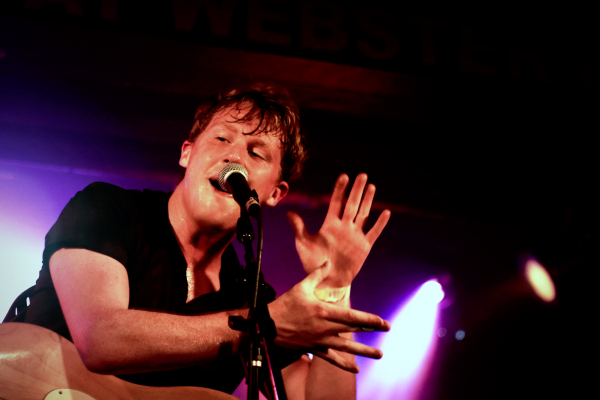 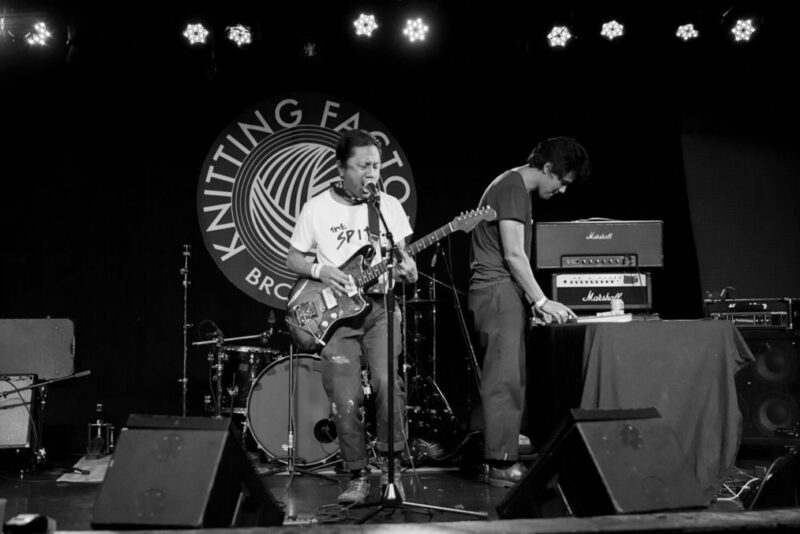 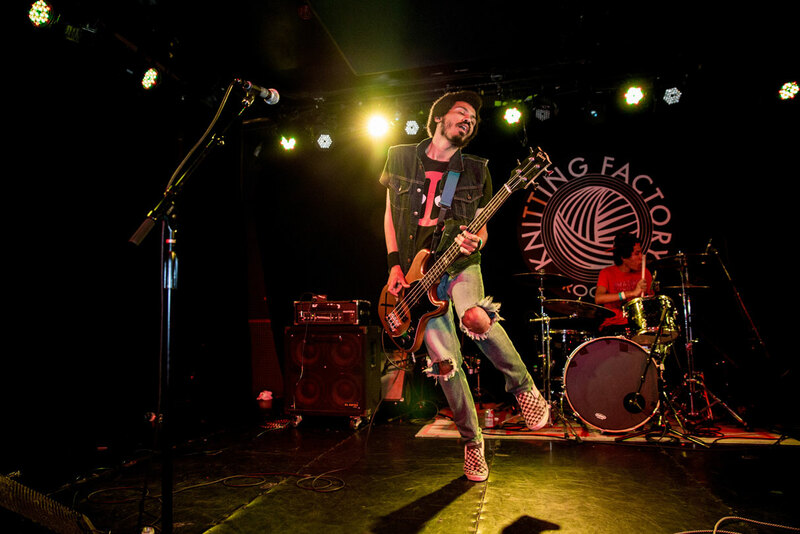 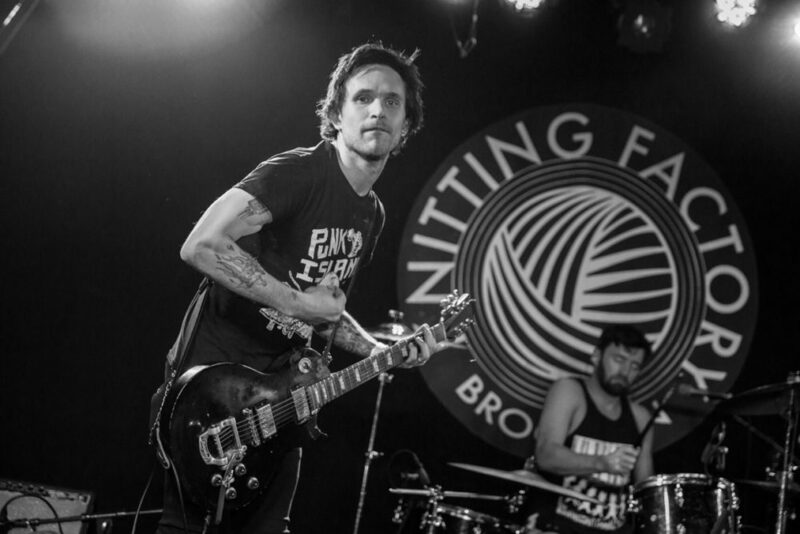 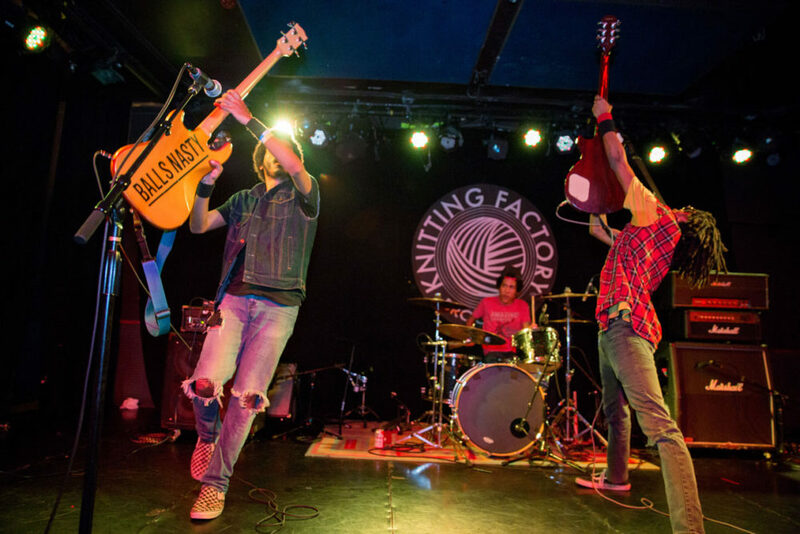 And that’s just what the crowd at the Knitting Factory in Brooklyn got last week. The night started off with the sonic distortion scream known as Chorizo. 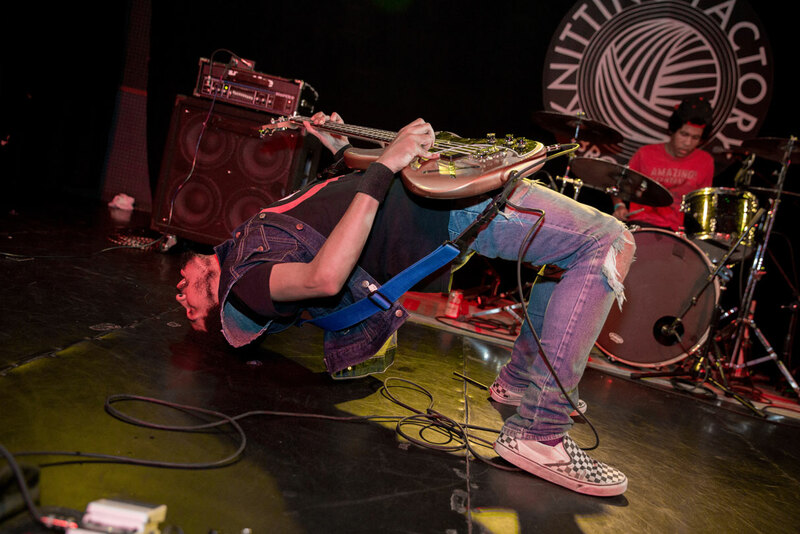 This was primal waves of guitar and beats coming at you. 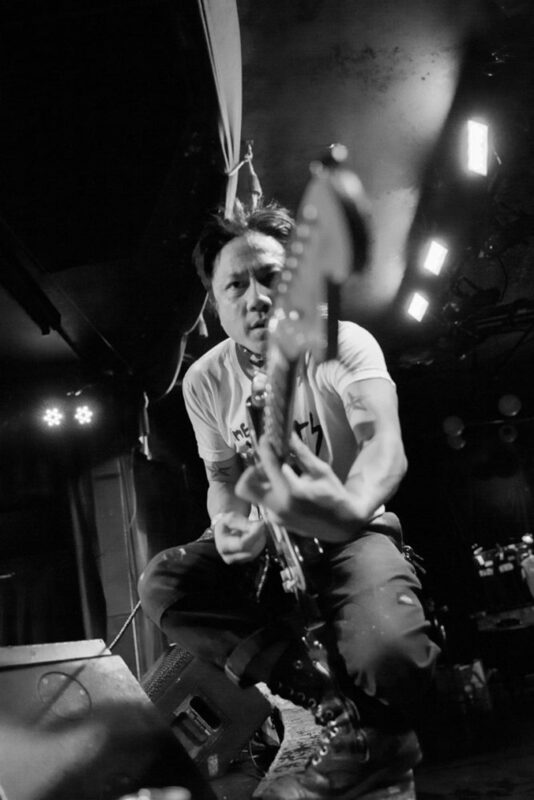 Played with the sole of boots if needs be when a pick or strumming just won’t do. 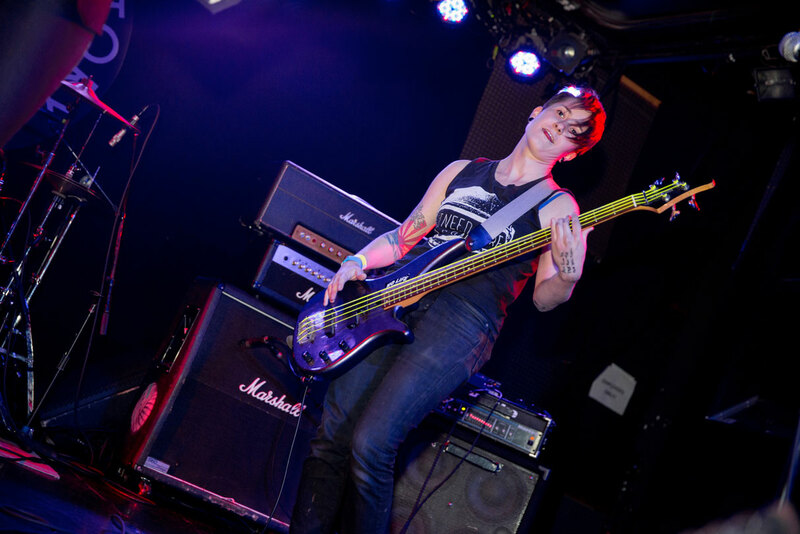 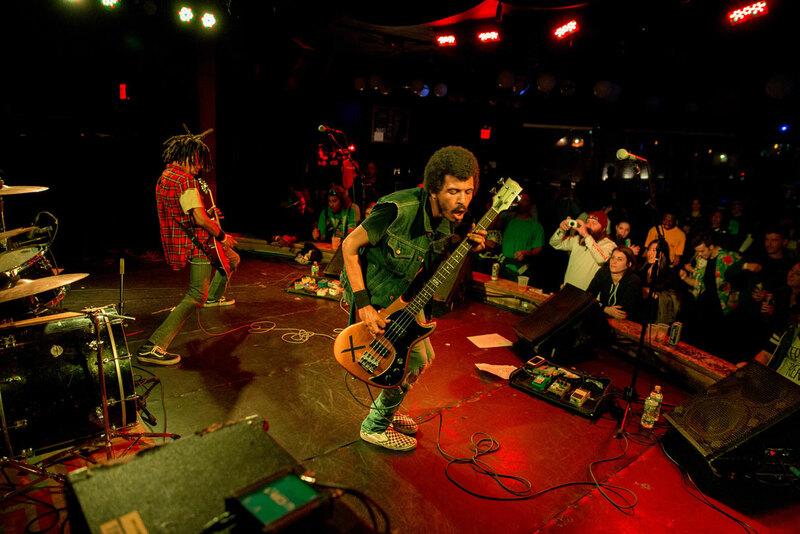 Next up was the New York punk fueled rock outfit Treads. The band is fueled by lead singer Madge howling through furious chords on her guitar. 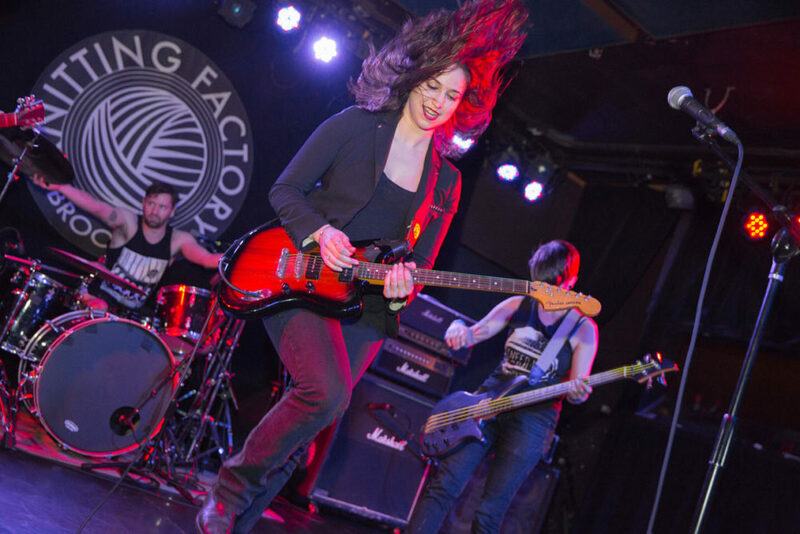 This is a band looking to straight up bring the rock, every now and then touching on some metal vibes to keep fueling her wicked hair-flips. 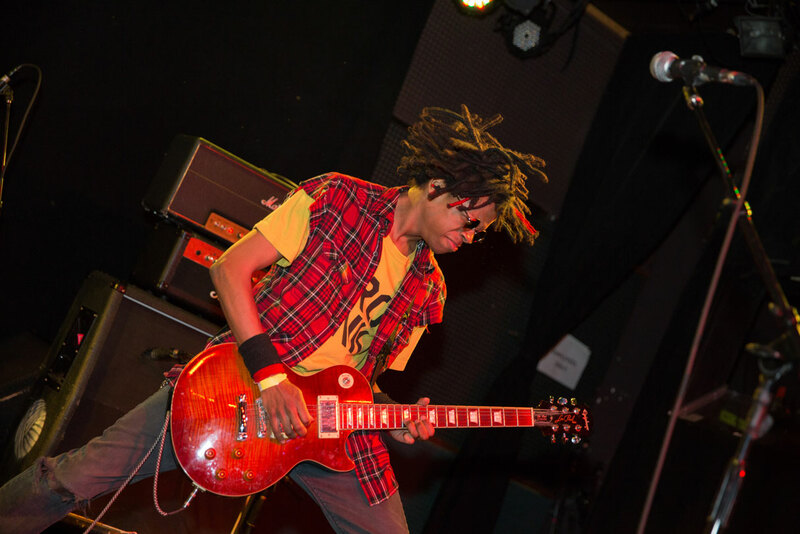 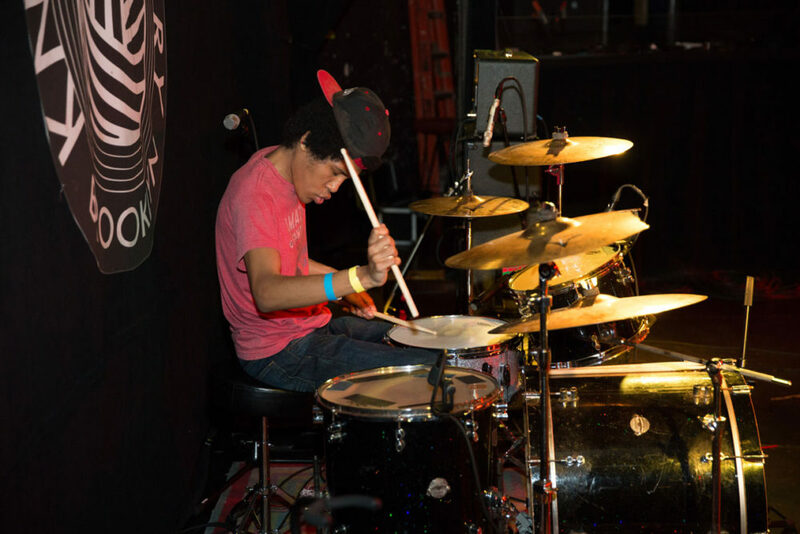 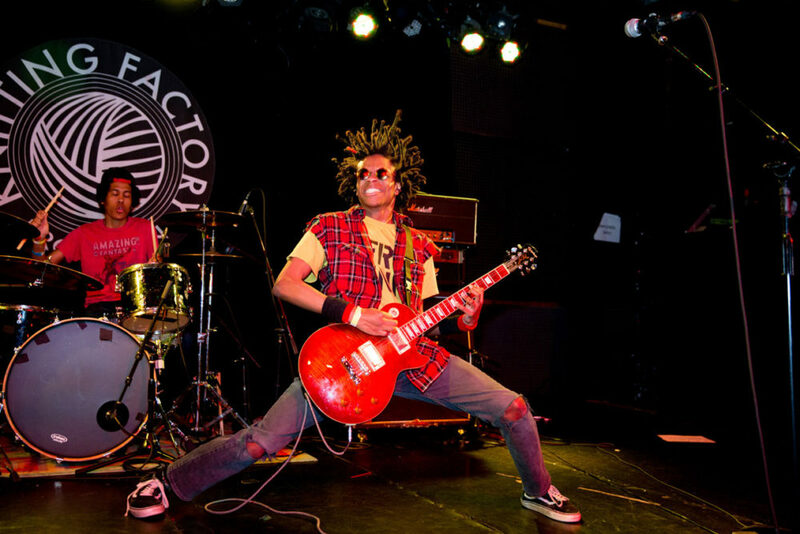 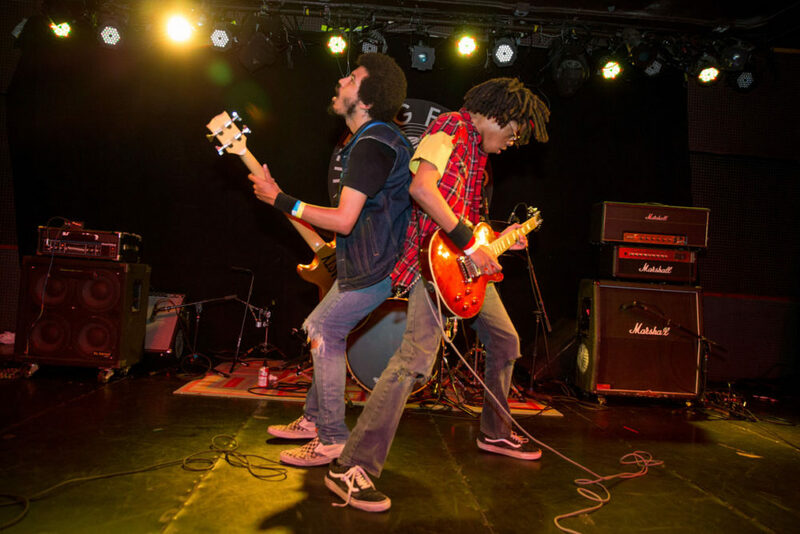 And then it was the sonic explosion that is the brothers that make up Radkey. 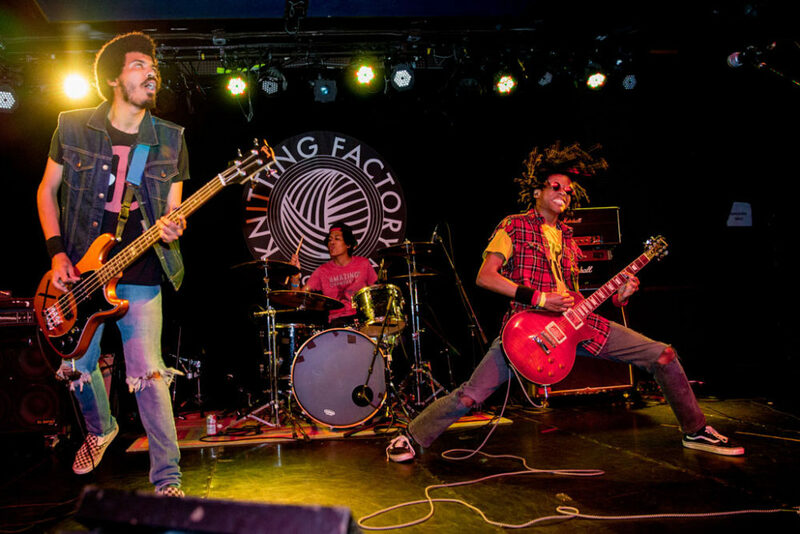 The three young men appear to be the spiritual successors to The Misfits, reveling in their irreverence and in your face chords that signal to the audience that it’s time to smash on into each other as their songs keeps getting faster and faster till they explode in a head-banging fury. 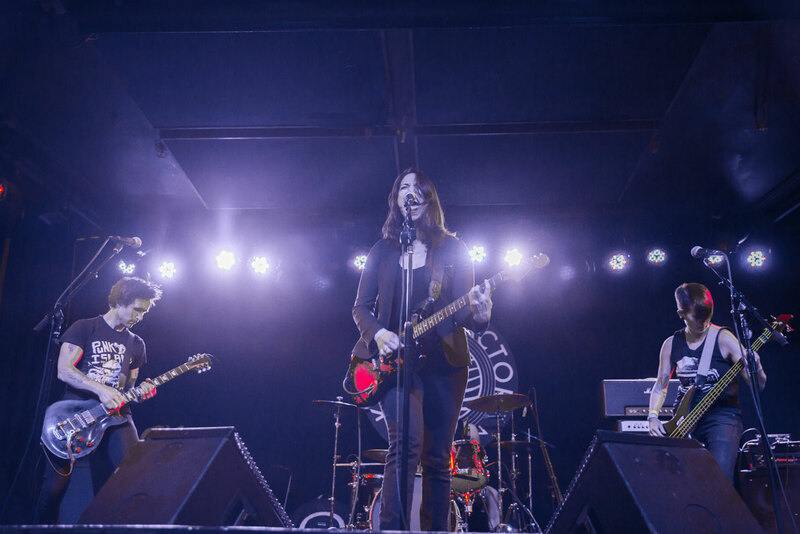 For such a youthful trio, they have crafted a presence on stage that is all confidence and a flurry of movements. 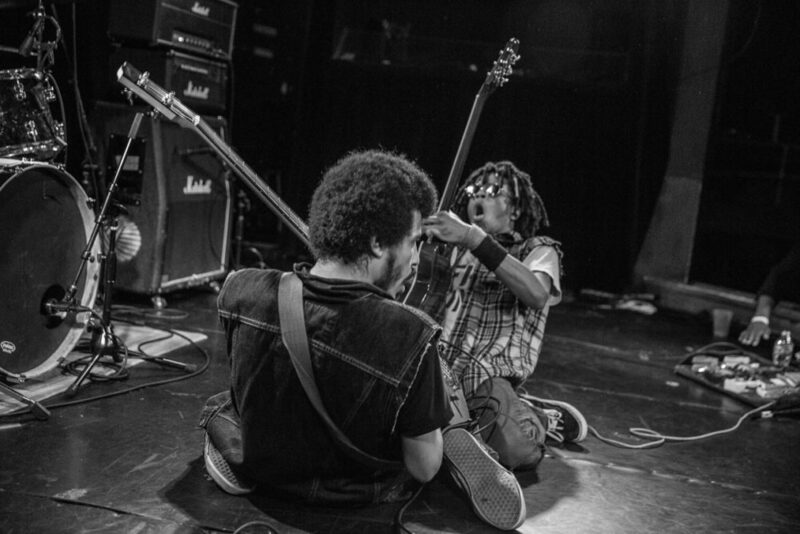 Whether it’s bassist Isaiah playing jumping all over the stage while his eyes roll back into his head, or vocalist/guitarist Dee with his legs wide apart in a guitar-god pose, or the economical movements of drummer Solomon, they move with a precision and power that makes you think they’ve been doing this for far longer than they’ve probably been alive. 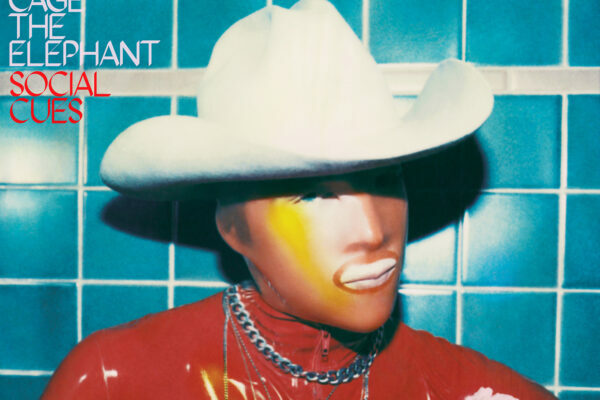 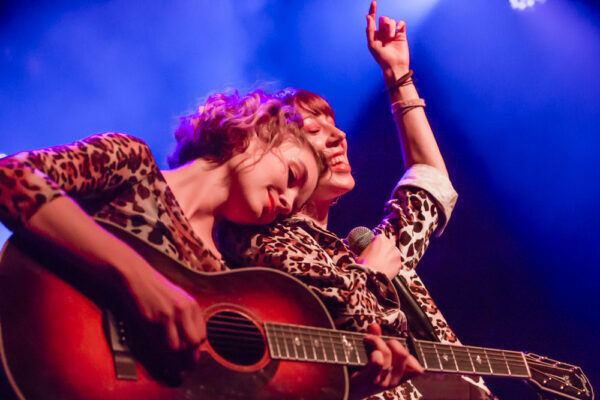 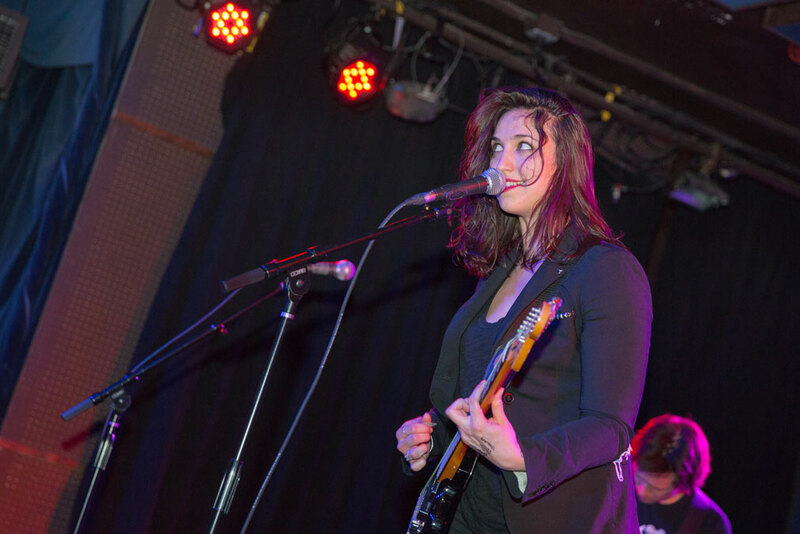 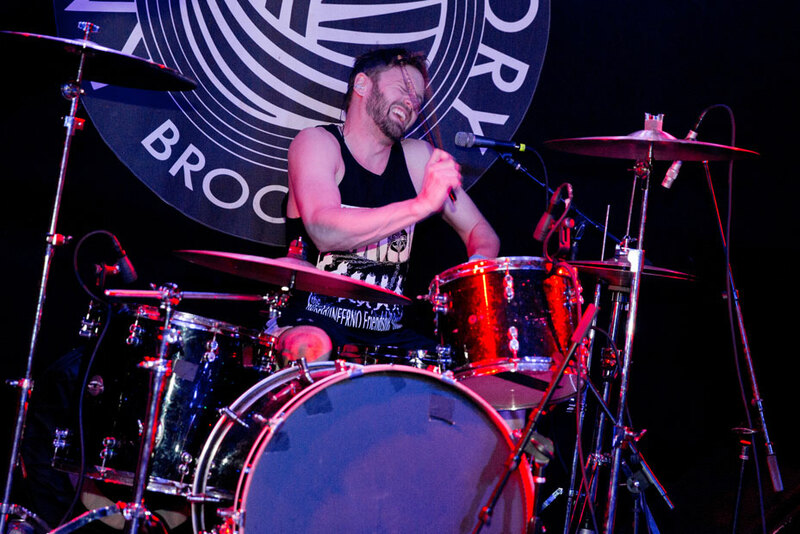 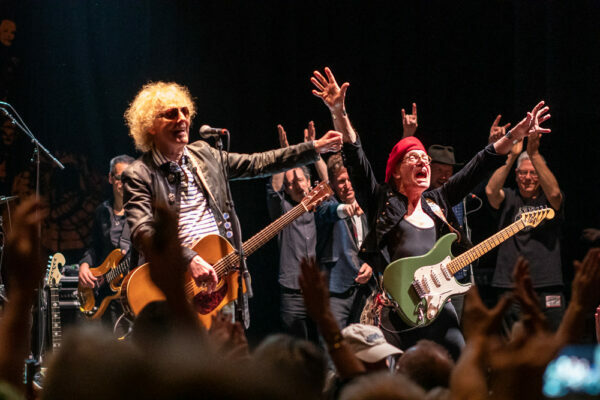 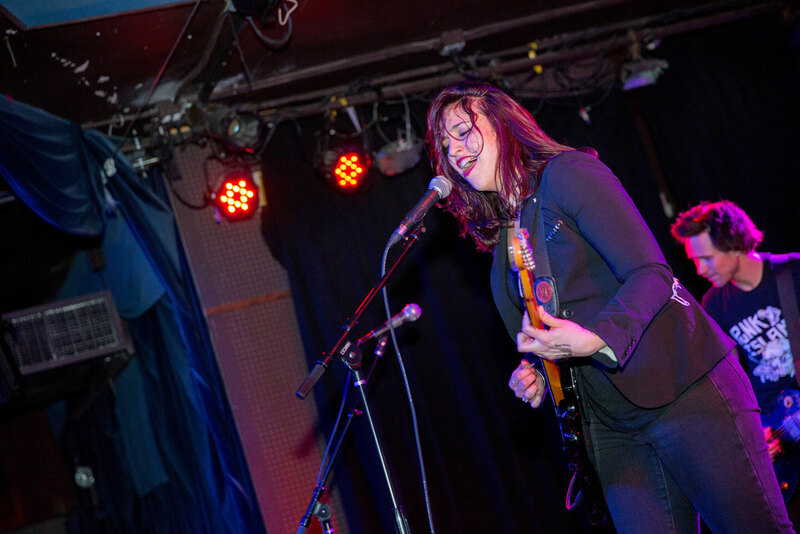 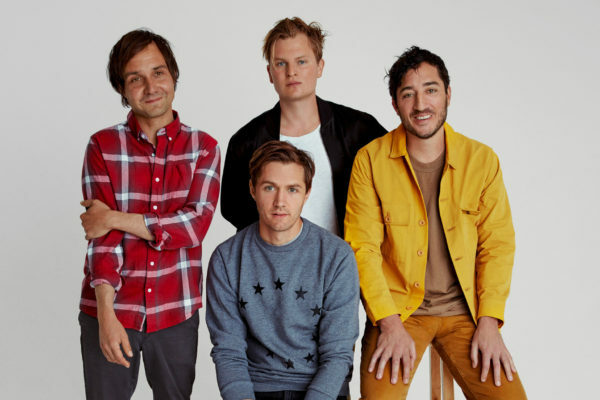 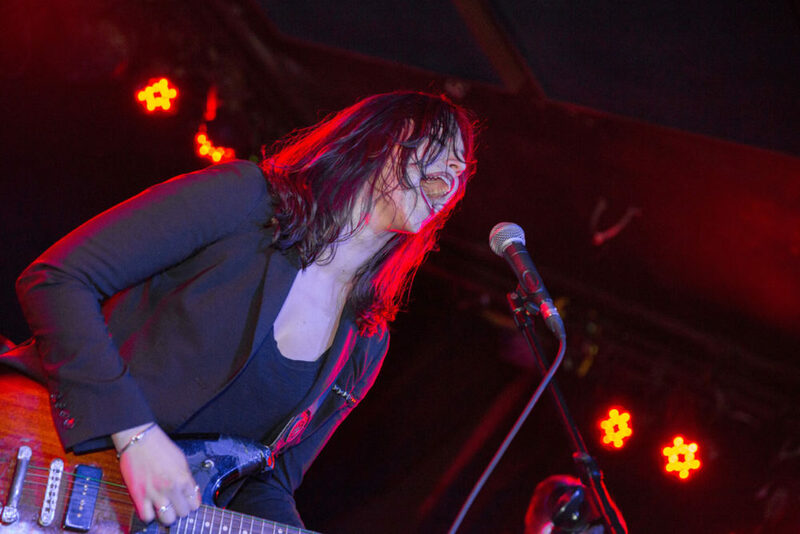 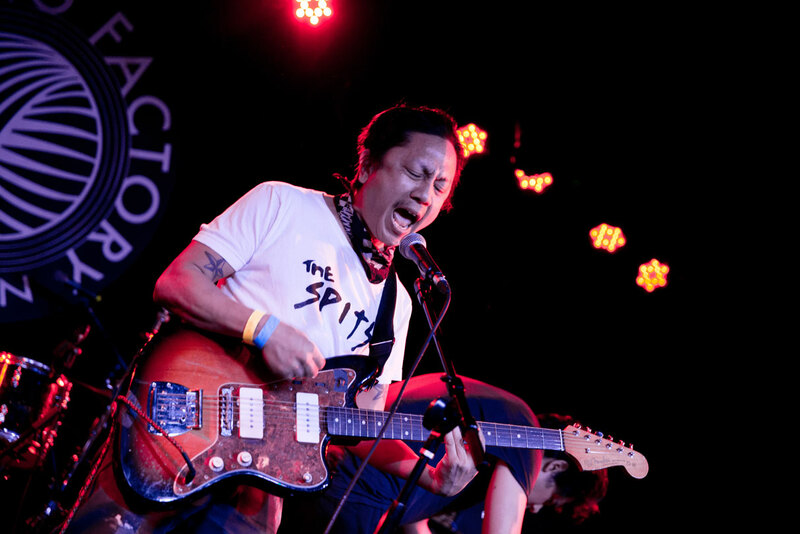 The band played a staple of songs from their recent release, Delicious Rock Noise, like “Marvel” and “Dark Black Makeup,” to some early crowd favorites like “Cat & Mouse.” The band’s a mad dash of youth and silliness in the best possible way. 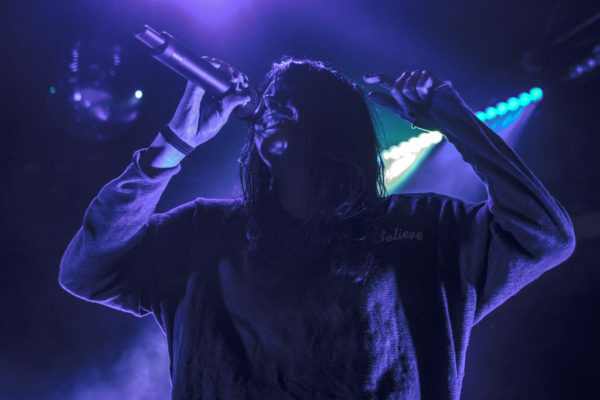 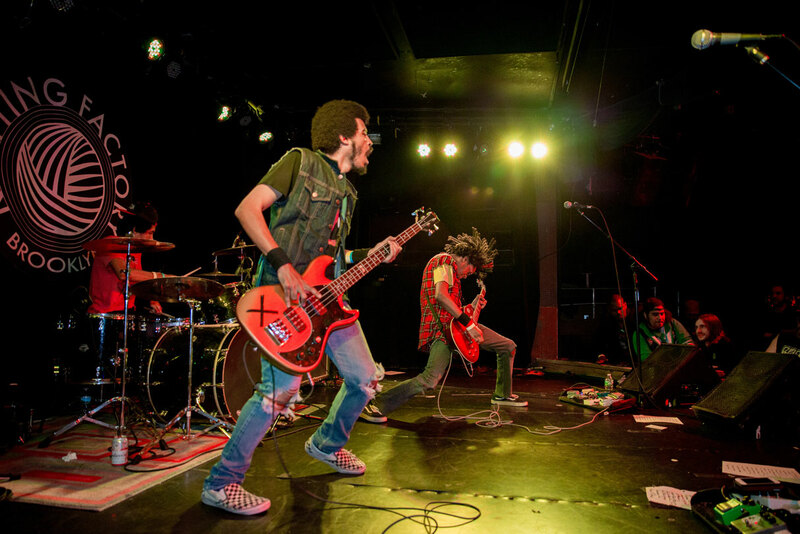 They wear their influences on their sleeves, or say Isaiah’s Deadpool shirt, and propelling beats and chords at the audience that bring out the furious in their audience. 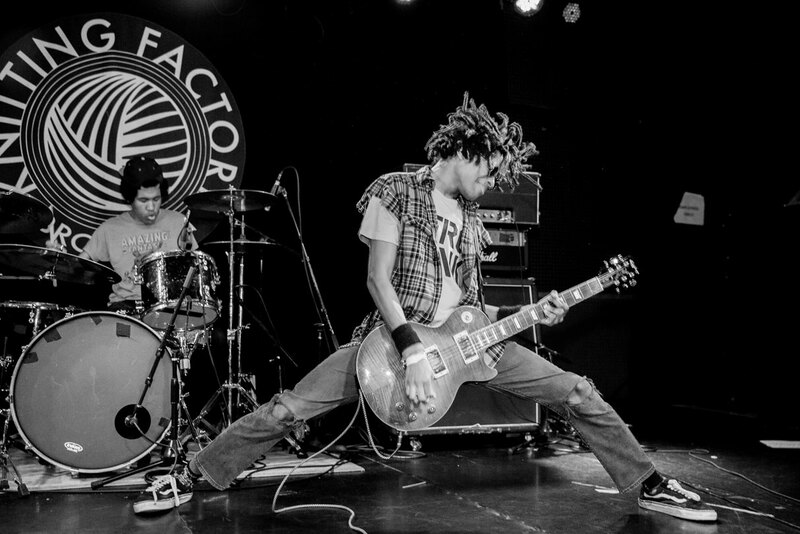 They don’t shy away form their youth, they embrace it full throttle. 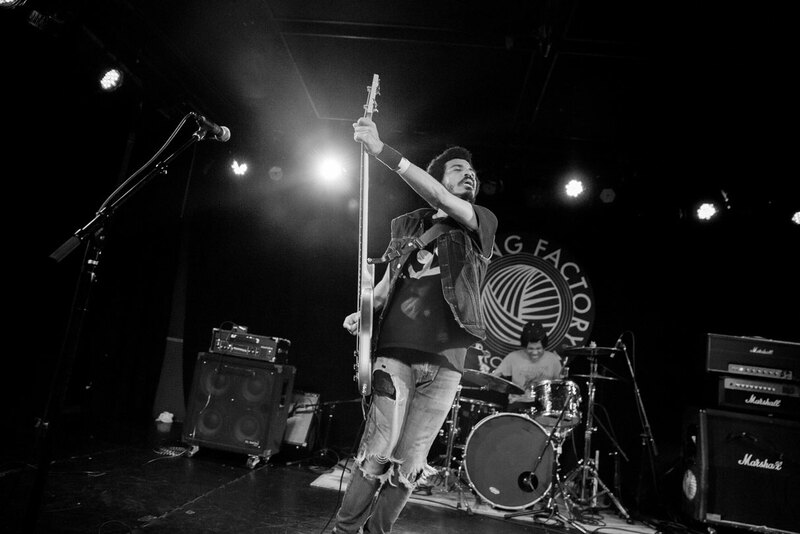 And such straight forward honesty is clearly visible in their tracks and the power they bring to each show. 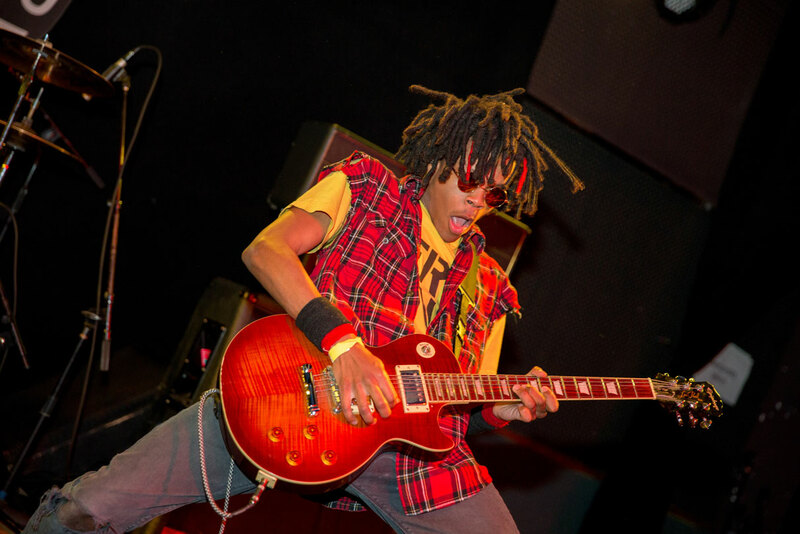 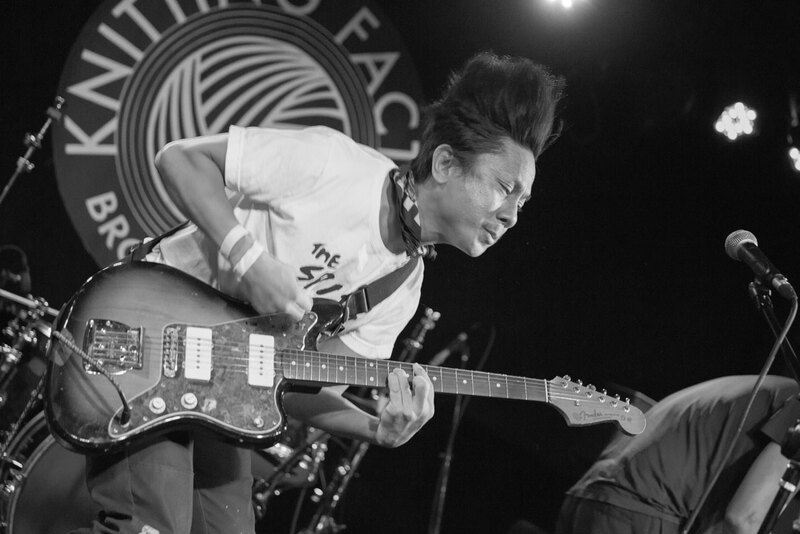 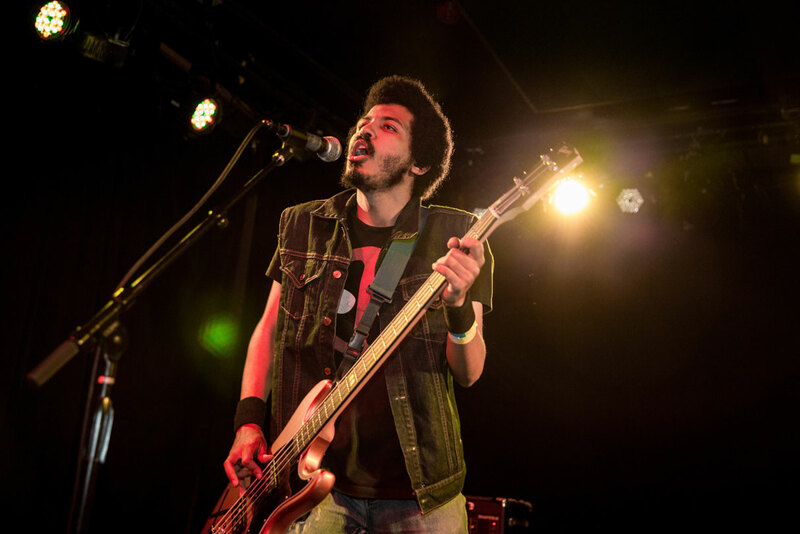 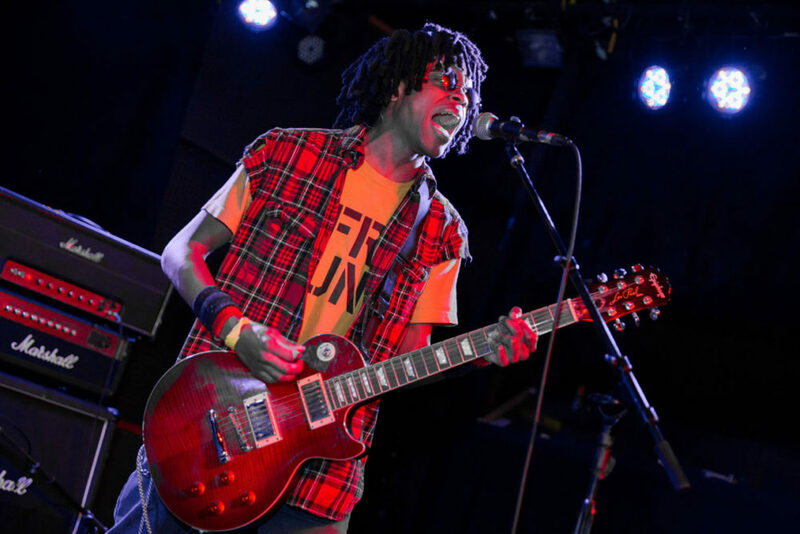 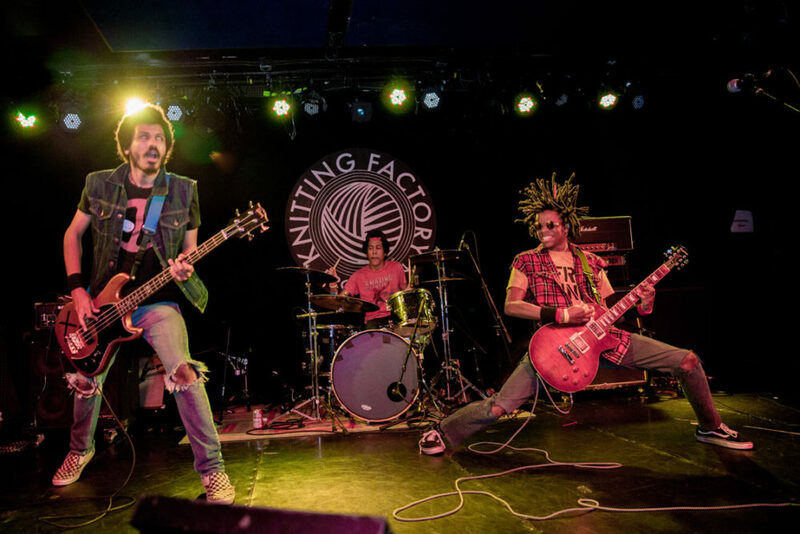 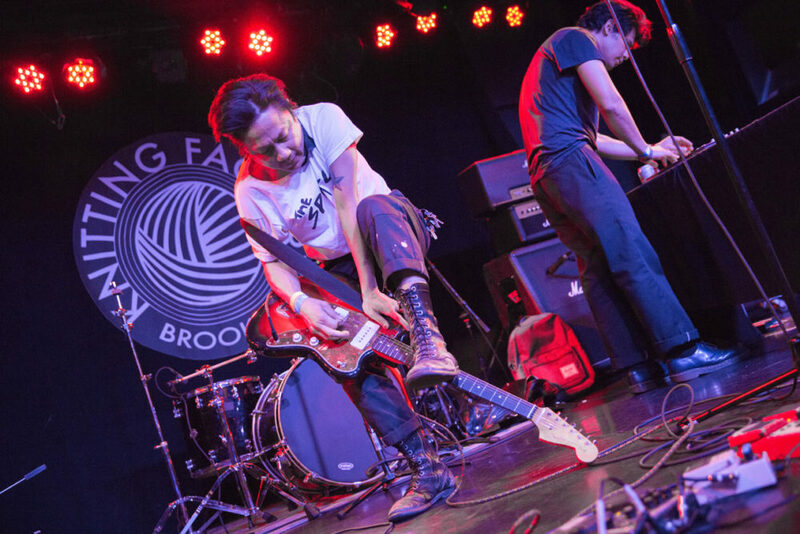 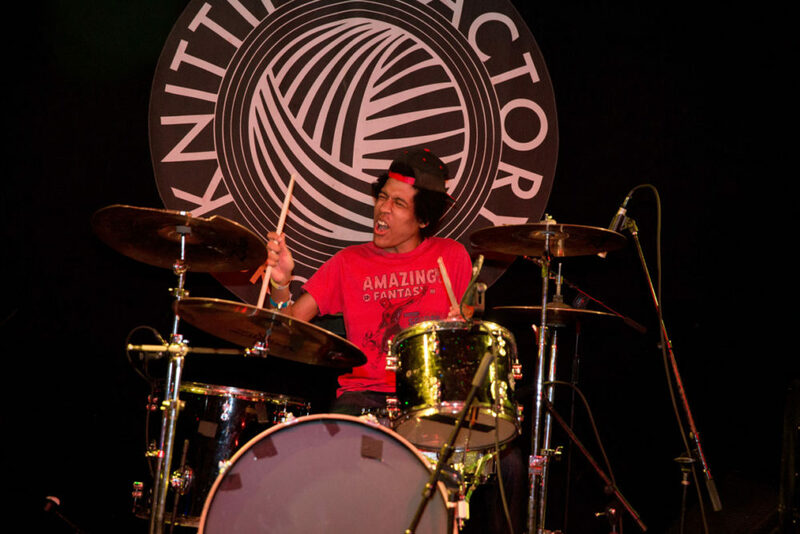 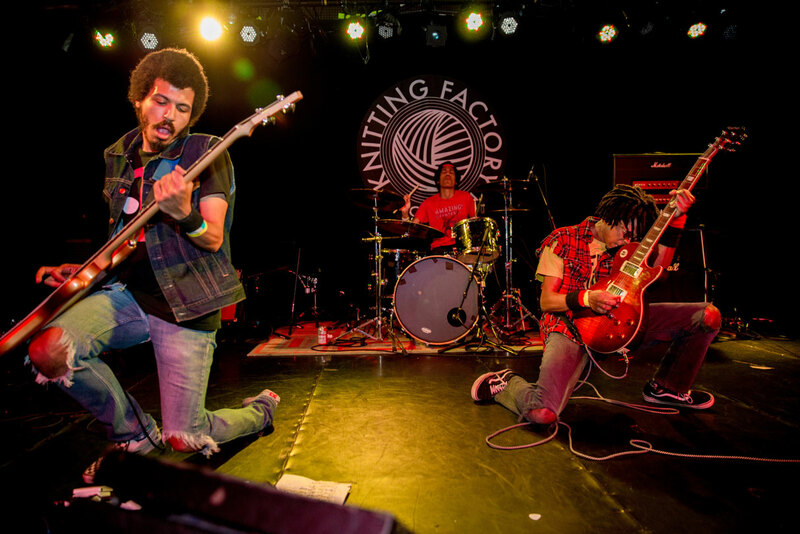 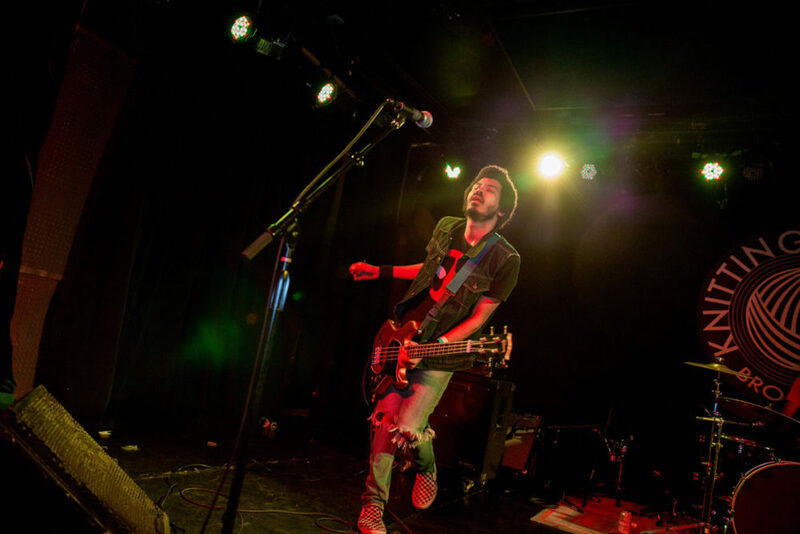 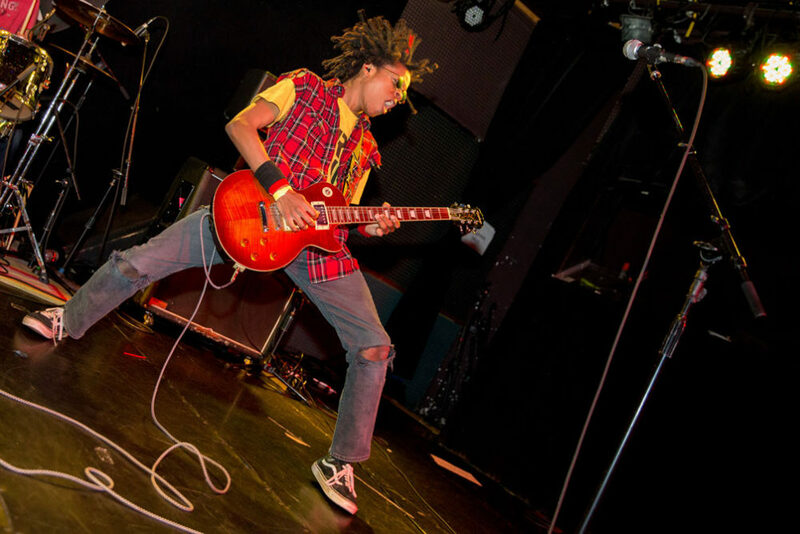 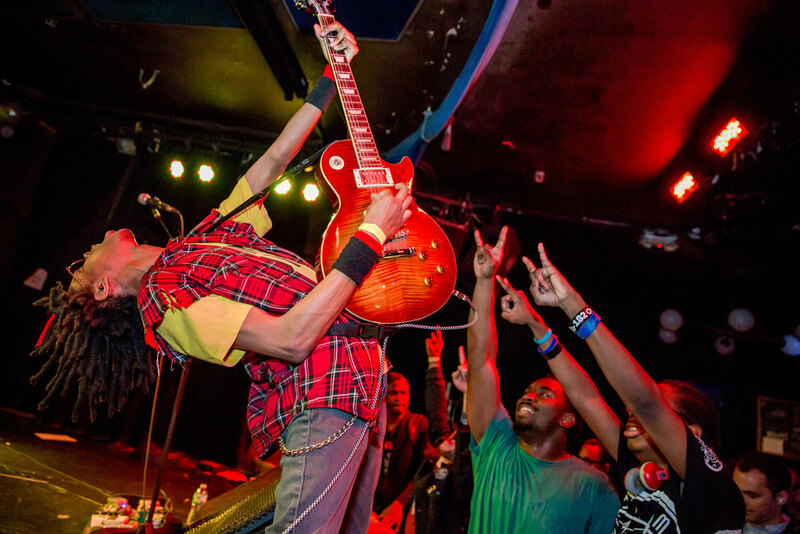 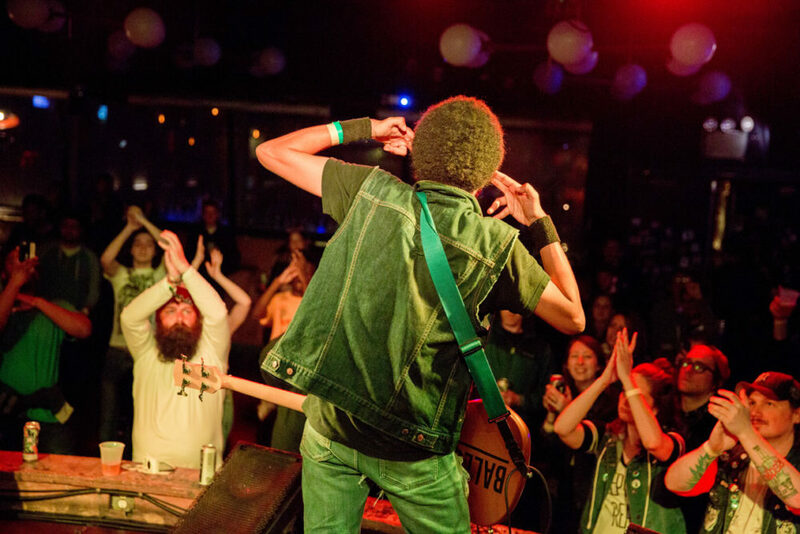 When Radkey’s in town, be prepared to jump wand whip yourself around till the last scream.